The snowflake gift card is often used as a winter gift or Christmas Card. 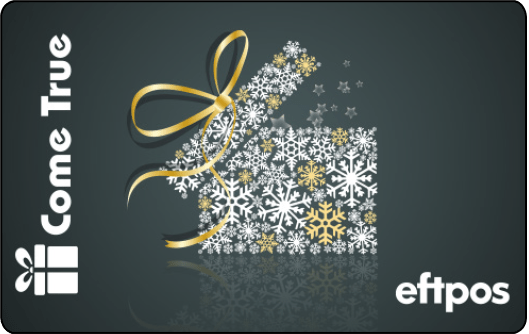 You’d be hard pressed to find an actual snowflake in Australia’s festive season so this snowflake eftpos gift card design will have to do. People love our cards because they give them the power of choice. They get to pick their own present! This Christmas, we’ll pick up the hard work: we sort all the admin that comes with gift card campaigns and reward programs: everything from delivery to personalisation to customer service. Just fill in the enquiry form and we’ll take care of the rest.